Do you want a successful cloud migration? Alternatively, are you looking to move your IT infrastructure to the cloud and can’t decide how to run it? All you have to do is follow a few simple steps. So everything would run just perfect. A well-researched and thoughtful approach is the first thing that should be completed. Your business can benefit from moving to the cloud if the right things are done in case of efficiency, speed, and cost. Fortunately, It’s not that difficult. If you want to succeed, a serious approach must be exercised. We aim to provide the key factor for a successful migration for your convenient. Here are the 10 steps to ensure a successful cloud migration for your business. Decide why you want to be a cloud mover? Decide why you want to make a move to the cloud? It all begins with coming up with an excellent decision. The first query that comes to mind is why you want to move your business to the cloud. You have to fully determine if you’re going to invest your time and resources to relocating your infrastructure to the cloud. You can also proceed with the question—if I move to the cloud, is it going to provide any benefit to my business? I know somehow coming with a big decision can be difficult. However, it doesn’t have to be. It’s a significant change; to move to the cloud. Also, it can create trouble if not done the right work. Once, you’ve identified the purpose of moving, do an objective analysis of the advantages and disadvantages of shifting to the cloud. The best process for doing it is a SWOT (strengths, weaknesses, opportunities, and threats) explanation. If you find any drawbacks of this process, you should list it, including costs. Now, It is vital to assess your IT infrastructure, your current application resources and price. It will be helpful while taking decisions for moving to the cloud—here are some tips to ensure the assessment completed properly. Selecting which applications can be migrated to the cloud. Cloud computing is great as we all know, but it’s not always the best option for all businesses or environments. The fact is that some of your applications could be best left on the premise rather than moving to the cloud. Besides, the legacy app that is not compatible or a performance-intensive app could be difficult to move to the cloud. It’s good practice to identify which of your apps that could be moved to the cloud. A vivid analysis of the costs and infrastructure will be helpful for you to migrate the apps and optimize them perfectly. When you have the in-house technical expertise for moving your organisation to the cloud, this is a great situation. However, if you think, you don’t have enough resources, then, go for a cloud partner. A right partner is a must for you if you’re not capable of moving. An appropriate partner may bring the difference between successful and unsuccessful cloud migration. If you’ve got a partner, you should look at his past experiences. Keep in mind that he worked on a similar project. Perhaps, you’ve planned to move, or you’ve got a partner to help you. Now, the next step is to identify the cloud environment that will make you achieve your goals. 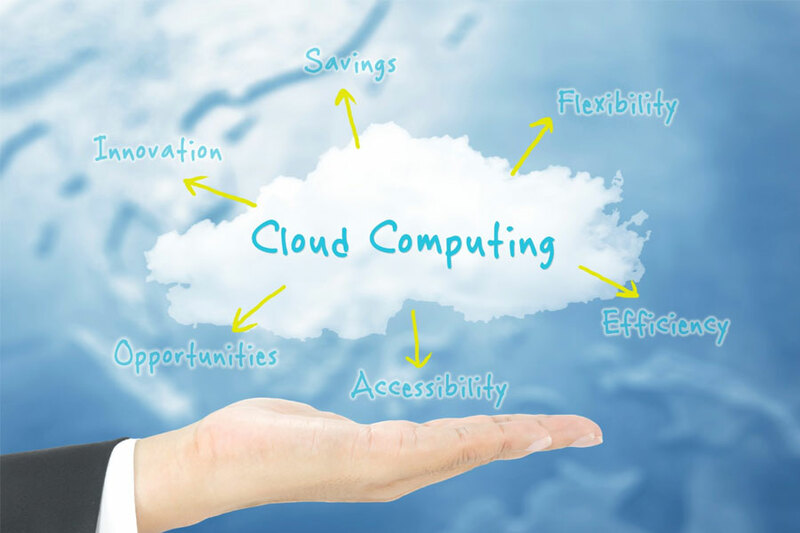 The first and foremost decision you have to take is which kind of cloud is well suited for your applications. You can visit this page to see if your application meets your criteria. If you’ve chosen the kind of cloud you’re going to use, then you should decide on the architecture that’s necessary for migration. Categorize the applications that you need to migrate. You’ve already analyzed the process no 3 (Assess your atmosphere). Based on it, determine the components that you’ll need. Think of the computing power, storage needs, content delivery or more. You have to look for other factors as well when you choose the provider just like prompt customer service, promised SLA and feedback. HERE comes a significant part. So, you’ve got everything, and your migration is somehow ready, now it’s the time to draw up a plan that will take place. How your plan should be? While taking the plan, you should look at these. You may come across other possible issues that you should plan before you start the migration to follow during and after the process. The best part comes here. Strategy and timings – you should check. Backup Your Data – we’re not going to pay attention to this point more. The best thing you have to do before the migration is you should backup data and your existing servers to make sure you’re not losing anything. Be sure your data is really secure and easily retrievable. Also, make sure your processes don’t fail in time of the migration. Deployment – the next you need to do is set up the cloud atmosphere. This features connections, provisioning, and testing all personal components and fully testing them. Migrating the data – once it’s done the deployment, the next thing you should do is to migrate the data to the new cloud suggestion so that business processing is maintained. There is a thing you should remember that the first data load would take a bit time and it may also need modifications to the data to adjust the cloud setup (new). Once you’ve done your job that means, you’ve moved all your data or documents, all the connections should fully be tested that’s VERY Important. Testing – the last process you have to do is tweaking and testing the migration. If the data is successfully moved, you have to make sure that everything is working what you’ve desired. If your migration is successfully completed, it is crucial to implement the monitoring work. It will help you to fix and identify any issues that may come with the cloud atmosphere. Finally, if you want to consult an expert team for cloud computing needs or cloud migration, contact us directly because our company provides the best services where you’ll get all 10 criteria that we’ve discussed above. No matter what kind of difficult migration it is, just hands over your difficult job on our expert hands. We put the best services at your fingertips. With just one contact, we connect you with the best professionals. in maintaining our commitment to quality, our professional migrating company has all of the necessary technical knowledge to assist with your, You can be sure that our network of professionals is more than qualified to meet your needs. This prestigious repairing company offers some of the best deals in the industry. Previous Post What Is Office 365 Business? Suite 108, 264 Lavender HILL, London, SW11 1LJ.